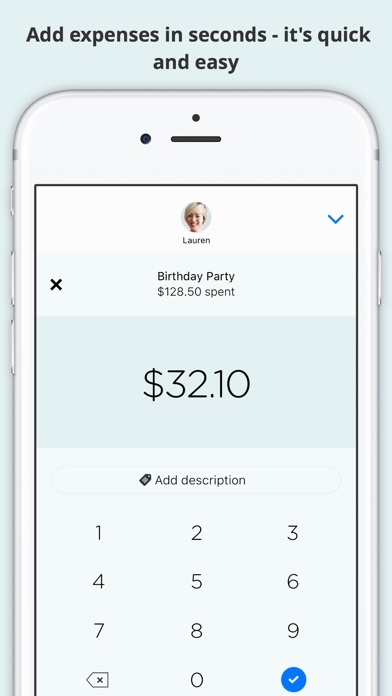 Tabs is the easiest way to track your spending with your friends and family. Are you organising a party, on holiday with your partner, or out having fun with your friends? 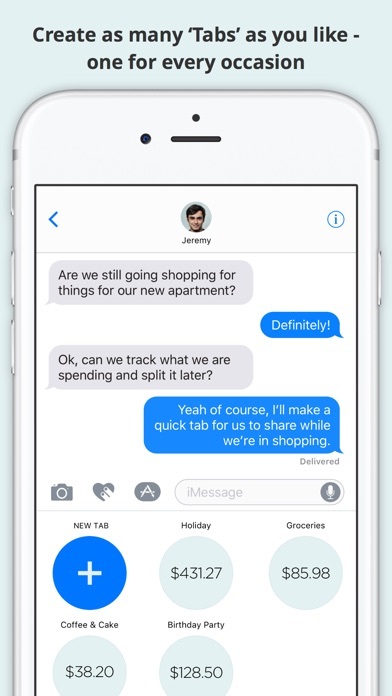 Tabs will help you to track who is spending what, and settle up your spending with each other at the end. •••• MAIN FEATURES •••• • Track spending money with your friends and family via iMessage • Create as many ‘Tabs’ as you like, one for every occasion. • Add expenses and spending in seconds. 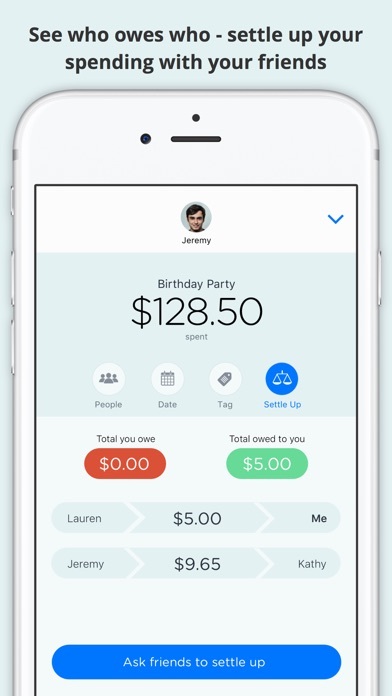 • See ‘who owes who’ to settle up your spending. 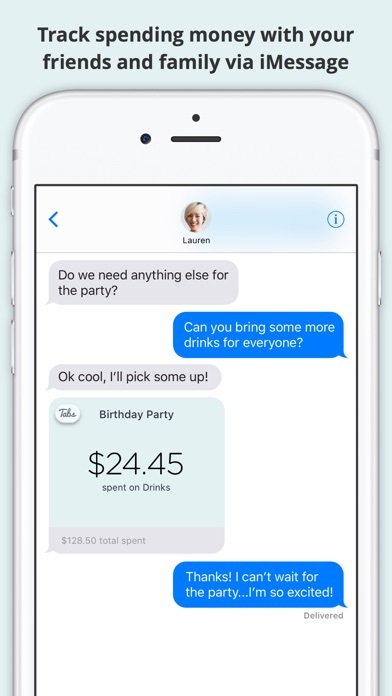 • Understand your spending better - filter by Person, Date or Tag. • Use any currency in the world for each ‘Tab’. If you enjoy using Tabs please rate the app! If you have any feature or support requests we’d love to hear them - send us an email at support@tabs-app.com If you want to send us chocolates and roses, that’s cool too. Don’t forget to check out our other apps to help with your spending and budgets - Pennies and Pennies Mini!